Malta has so much to offer for tourists of all backgrounds with different tastes and interests. From small towns, to prehistoric structures and places of geographical wonder - this is the quintessential list of places to visit in Malta. 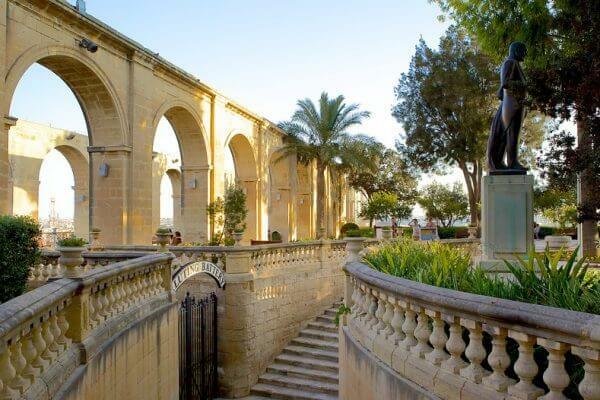 The upper gardens are located on the upper tier of St. Peter & Paul Bastion, a two-tiered corner bastion on the city’s eastern front, which was built in the 1560s, whilst the lower gardens are situated in the bay and provide panoramic views of the Grand Harbour. 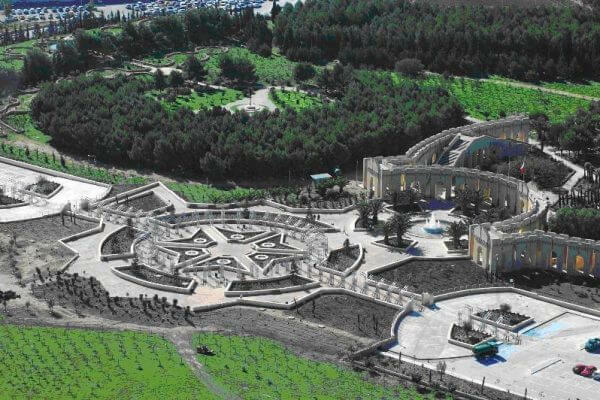 Alongside their beautiful views and horticulture, the gardens also host a variety of monuments and memorials to a prominent figures in world and Maltese history. 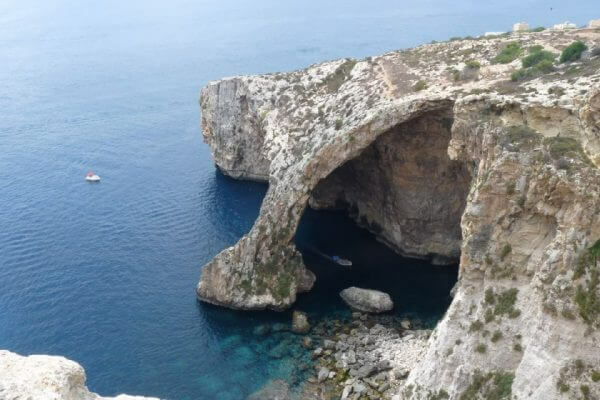 Consisting of a majestic stone arch and a system of caves, the Blue Grotto is easily one of the most picturesque sites of natural beauty available in Malta. The site attracts some 100,000 visitors per year and is popular amongst divers and snorkelers for its crystal blue waters, which allow for great exploration of the region’s marine life. Boat services are also available at the site for those looking to gain a first-hand experience of the caves. The unique nature of the setting has made it a location for many films – most notably the 2004 blockbuster Troy. Within the St Paul’s region is the town of Buġibba, a small resort on the rocky north coast. 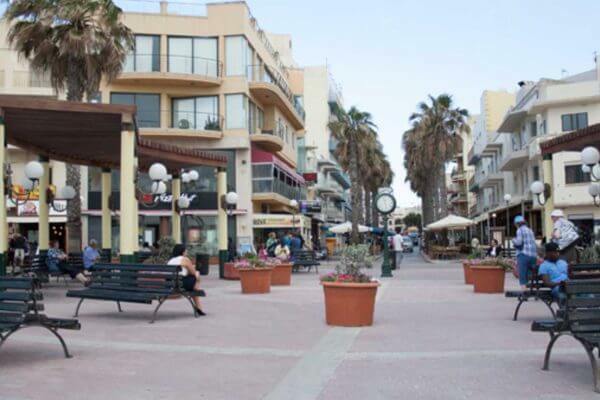 Being famous for its extensive nightlife opportunities, Buġibba is extremely popular amongst English language students – with numerous pubs, clubs, and casinos available for tourists and students alike – including the iconic Café Del Mar. 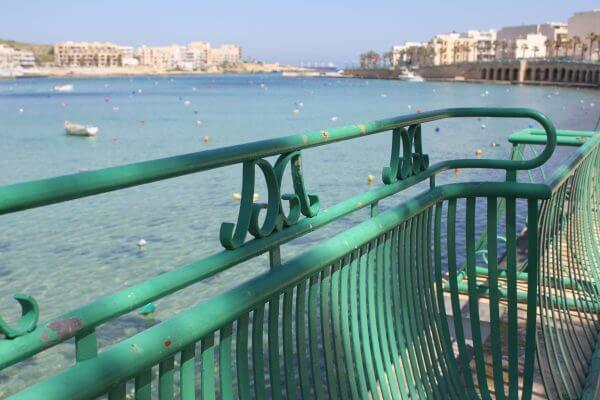 Bugibba’s promenade and beaches, including the Blue Flag, awarded Buġibba Perch Beach, make this one of Malta’s most popular locations for tourists and is well worth visiting on your trip to Malta. 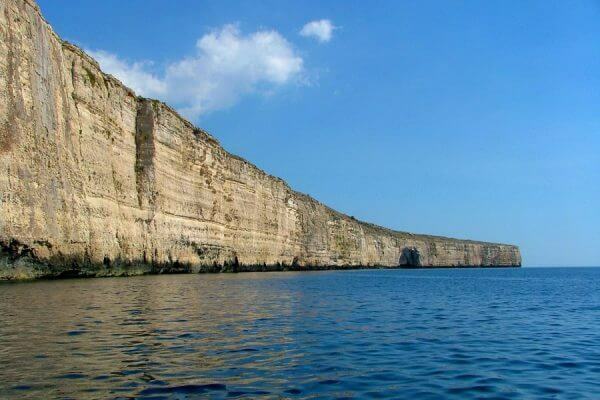 The Dingli cliffs is one of the most iconic coastal areas within the region, boasting lushes green vegetation and spectiacular views over the Mediterranean. Sat on the western coast of the island, the cliffs (and accompanying town) are believed to be named after the English knight Sir Thomas Dingley of the Order of St John. The unique shape of the sea-worn cliffs make this a very popular location for tourists, whilst the crystal clear waters offer divers and snorkelers the perfect opportunity to explore the Mediterranean’s abundant marine life. Built around a small harbour in the south east of Malta, Marsascala is a quaint village in Malta that is popular for its quintessentially Maltese mixture of traditional buildings and exquisite views of the Mediterranean Sea. 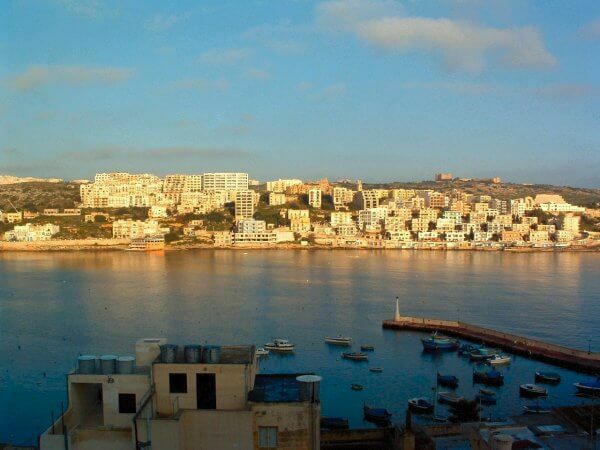 The bay is sheltered by Ras iż-Żonqor to the north and by the headland of Ras il-Gżira to the south. Sights of interest in the village include Casa Monita and Mamo Tower whilst St Thomas Bay is also near to the location. The harbour and creek that the town is built around make this a popular spot and it is worth visiting during your time on the island. 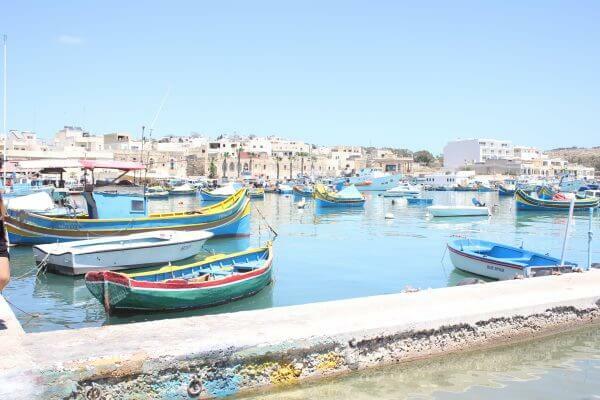 With a history extending back to as far as the ninth century BCE, Marsaxlokk is a charming village with numerous quaint, traditional Maltese buildings, including the beautiful parish church dedicated to Our Lady of the Rosary, The Madonna of Pompeii. A sea of traditional Luzzu fishing boats bobbing gently in the harbour means this an idyllic spot to call at on the tour. Marsaxlokk also boasts a small sandy beach on to the east of the village for those looking to chill out by the sea once they’ve finished exploring. Mdina is one of Malta’s most historically rich cities with a myriad of baroque locations available for the island’s many visitors. 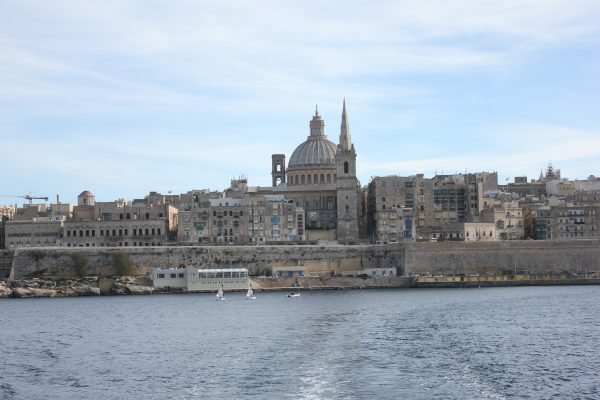 The city’s history dates back to the eight century BCE and was formerly the capital of Malta before falling into disrepair following the ascension of the Order of St John to rulers of the island. The Mdina gate is a profound attraction on the island, offering one of the best examples of Baroque architecture. Created in 1724 to the designs of the revered architect Charles François de Mondion, the gate will likely be of interest to lovers of the TV show Game of Thrones where it featured as the King's Landing Gate in the filming of the episode Lord Snow. 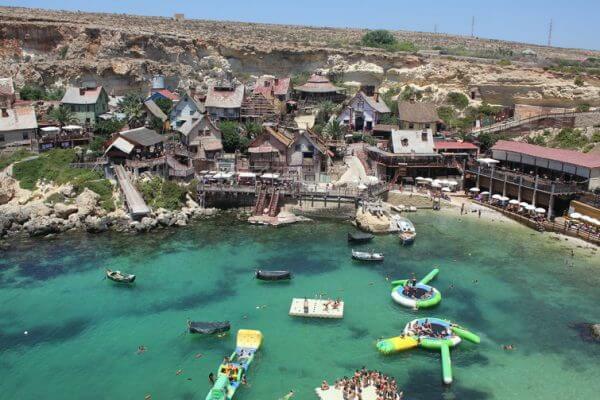 The Popeye Village is the home of the set of the 1980 musical Comedy Popeye and is one of Malta’s most popular locations, providing fun for the whole family. Painstakingly maintained since the film was made, the set in one of the most famous and unique tourist attractions on the island – with activities being held across the entire day. 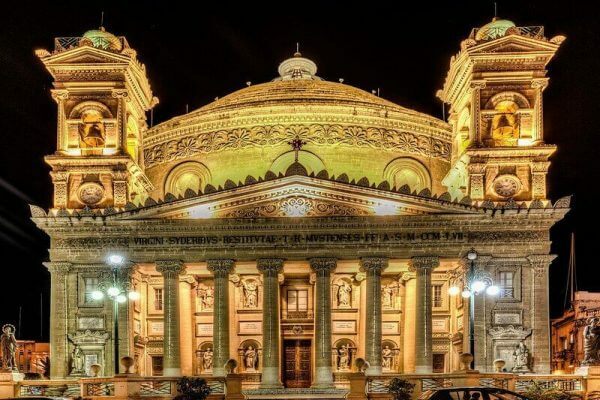 The Rotunda of Mosta is a beautiful neoclassical Catholic Church that exemplifies Malta’s rich Roman Catholic heritage. The church, built between the 1830s and 1860s, was created to the designs of Giorgio Grognet de Vassé – in the image of a Roman temple – and is dedicated to the Assumption of Mary. Built upon the site of an earlier Renaissance church, it boasts elaborately ornate interior that make it a must see during your time in Malta! With a history that can be traced back as far as 2000 BCE, Rabat’s name deriving from the Arabic word for ‘suburb’ due to the city’s origins as a suburb of the former capital Mdina. One of Rabat’s most iconic locations is St Paul’s Grotto, where the saint is said to have lived during his time on the island. The largest town in the north of the island, St. Paul’s name is derived from the belief that it is the location that the apostle Paul was left shipwrecked on his voyage from Caesarea to Rome. Human residency of the region dates back to the fourth century BCE and includes the fascinating are the megalithic temples of Buġibba and Xemxija. The town of St. Paul’s is renowned for being a highly popular tourist area, however there many popular areas of natural and historical beauty available in the region such as the local beaches, St. Paul's Island and Wardija Ridge. Ta Qali is a popular area in Malta due to National Park, the crafts village and regular events. 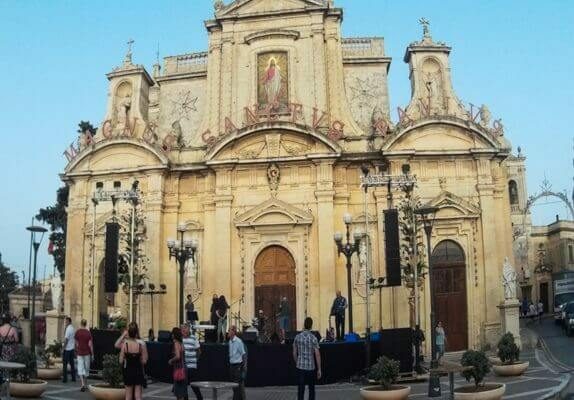 Ta Qali plays home to the national football stadium and The National Park Amphitheatre, where numerous internationally proclaimed acts have performed including the likes of Iron Maiden, Status Quo, and Deep Purple. The area is also known for hosting a number of events, including the annual Farson’s Beer Festival. 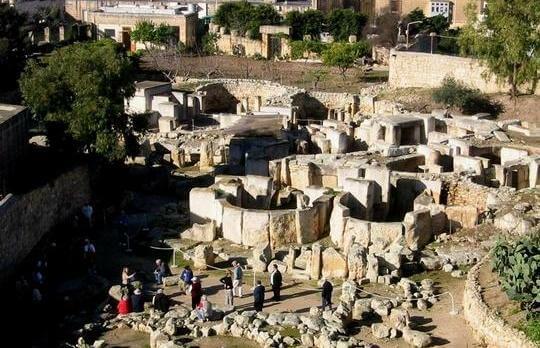 The Tarxien Temples are a place of real historical significance and well worth a visit for anybody looking to glean an insight into megalithic life on the islands. The temples were constructed between 3600 and 2500 BC and were extensively used for rituals, which probably involved animal sacrifice – evidence of which lasts to this day. Excavated between 1915 and 1919, the temples contain decorated stone blocks and screens, reliefs of domestic animals and spirals, statues and a number of altars – providing you with an unparalleled insight into pre-historic religious practises. This UNESCO World Heritage Site provides you with the opportunity to explore one of the largest and most complex prehistoric locations on the islands! Made up of the three fortified cities of Birgu, Senglea and Cospicua, The Three Cities is a metropolitan area sat in the Maltese southern harbour district. 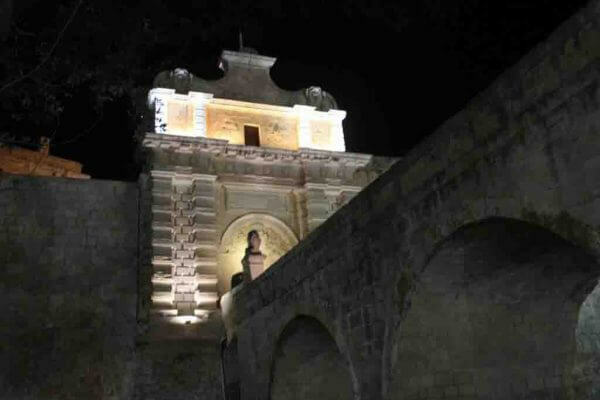 Birgu, the oldest of the three cities dates back to the Middle Ages whilst the connecting cities of Senglea and Cospicua were founded by the Order of St John in the 16th and 17th centuries. 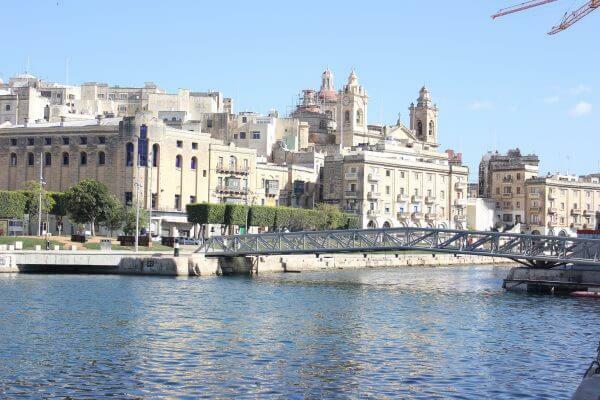 The three cities offer visitors to the island the opportunity to explore a rich variety of interesting historical buildings of different antiquities, such as Fort St Michael and Fort St Angelo, whilst the Cottonera’s location on the sea front and numerous shops, restaurants and café’s mean it offers a truly diverse range of activities for those who are just looking to relax. Valletta is the longstanding capital of Malta and is home to an array of beautiful buildings of architectural not, including the fantastic Co-Cathedral of St John and Fort St Elmo. Founded in the 16th century by The Order of St John, Valletta has played a pivotal role in the history of Europe over the centuries – including being an important port during the Second World War – and is the home of Maltese democracy. The Lower Barakka Gardens and the famous waterfront add to this world-renowned cityscape, alongside the iconic saluting battery.